SATS delivered a third consecutive y-o-y revenue growth (5.5%) in 3QFY19, better than expectations. 3QFY19 net profit was above due to one-off gain. Singapore gateway was stronger, driven by market share increase as well as significant improvements in cruise centre. Upgrade from Hold to ADD as valuations are more attractive now at c.18x CY20P/E (below average of c. 20x). Earnings-accretive M&A is catalyst. SATS LTD. (SGX:S58)'s latest 3QFY19 results (reported net profit of S$68.9m) was a tad above our forecast and consensus, helped by a S$5.8m of one-off gain that recognised from DFASS SATS for the disposal of the business to KrisShop, a JV held by SINGAPORE AIRLINES LTD (SGX:C6L) (70%), SATS (15%) and DFASS (15%). Accordingly, this has lifted share of associates profits by c.48% q-o-q and 51% to S$20.7m in 3QFY19. 9M19 FY19 reported net profit of S$68.9m (+5% q-o-q, +11% y-o-y) was above our c.S$64m expectations. 9M19 reported net profit of S$198.5m (+5% y-o-y) formed 73% of our previous forecast and 76% of consensus. 3Q19 gateway revenue was up 6.2% y-o-y at S$211m (vs. our 5% target) with stronger market share in ground handling as well as stronger cruise centre profit. Food solutions revenue grew 5% y-o-y to S$252m (vs. our 2% target) with TFK Japan operations remaining steady (+2% y-o-y). We expect stronger growth in TFK in 2020, riding on the Olympics fever which should see demand in more kitchen capacity at Tokyo airport. 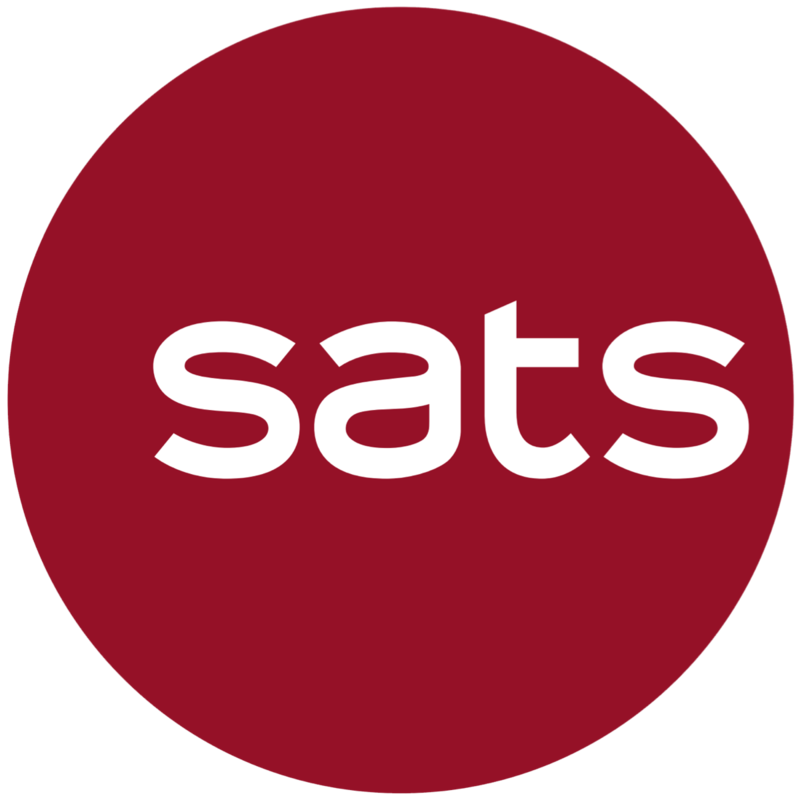 SATS has started to increase its capacity in Haneda. EBIT margin dipped to 14.1% in 3Q19 (1H19:14.7%) due to one-off expenses “other costs” that included higher IT renewal expenses, professional fees related to new projects, investments in new kitchen and higher fuel costs. 9M19 EBIT margin was still up at 14.5% vs. 13.8% in 9M18. Good cost control resulted in staff costs rising by only 2% y-o-y despite the expiry of jobs credits. Excluding the S$5.8m gains of DFASS, gateway associates’ profit grew 16% q-o-q to S$12m, with the help of the rupiah’s recovery. The implication of higher franchise fee in Indonesia remained in 3Q19 but management expects pass-through effects to customers to kick in by 4QFY19. Food solutions profit dipped 22% q-o-q to S$2.9m due to lower volume in Brahims and higher depreciation in Evergreen Catering. Brahims’ flight catering operations are now headed by SATS and should see q-o-q improvement ahead. Our valuations are still based on 4-year average of 20.3x. Dividend yield of 3.6% is t cash of S$175m. Downside risks are multiplier effects from trade war. Having dipped c.12% from its 2018 peak and trading at c.19x CY20F, we consider the current valuations as more decent and see potential upside hereon. Recall that SATS was able to command a > 21x P/E from FY16-17 due to its ability to deliver above 10% of y-o-y net profit growth, although some were due to accounting treatment. With the help of the DFASS SATS gain, we forecast SATS being able to deliver c.8% y-o-y growth in FY19F core profit. This could re-rate the stock. SATS has done a good job in keeping its costs in check and we still see scope for improvement to deliver more positive jaw in its costs. Despite lacklustre revenue growth of c.2% in the past three years, its staff costs-to-revenue ratio has decreased from 49.6% in FY17 to 46.9% in 3Q19 and 47.2% (9M19), with the help of automation investment. There could be more upside ahead with potential jobs credit handout by the Singapore government. Refer to the PDF report attached for details of quarterly staff costs vs. revenue ratio since 1Q17.